This large tractor trailer has been parked within the Cargo loading Dock of the Rail Yard for the past 48 hours. 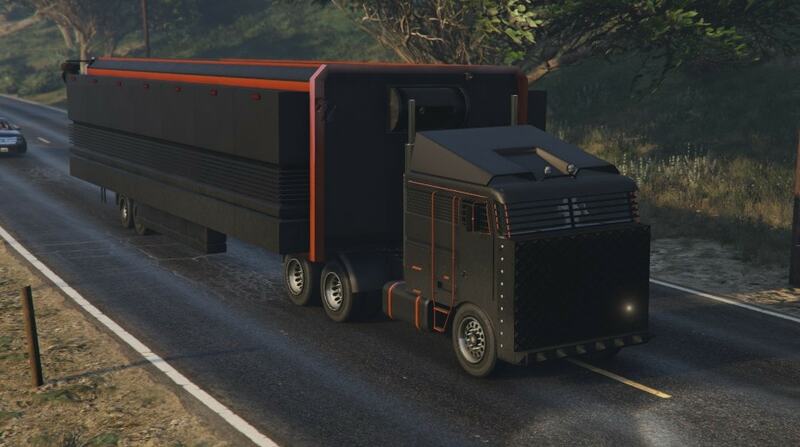 Unbeknownst to the public, this tractor trailer is a hidden base and staging ground for one of Umbrella's Monitor teams, the hidden Secret police of Umbrella. Ordered to report information vital to the company, and inform headquarters of rogue employees. Can act as controllers to other divisions such as the U.S.S. The U.B.C.S. and directly commands the Umbrella Trashsweepers and private security. The Mobile Operations Center itself is split into six sections, including the tractor truck itself, a heavily modified Kenworth K100 Cab over engine tractor truck. 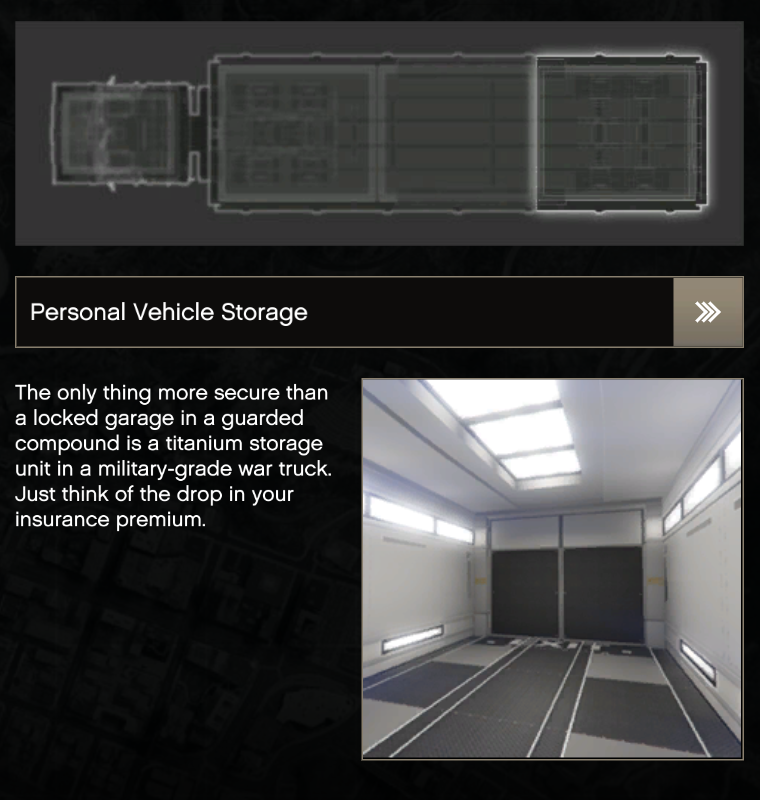 The remaining five other sections are contained within the immense armed and armored trailer section. 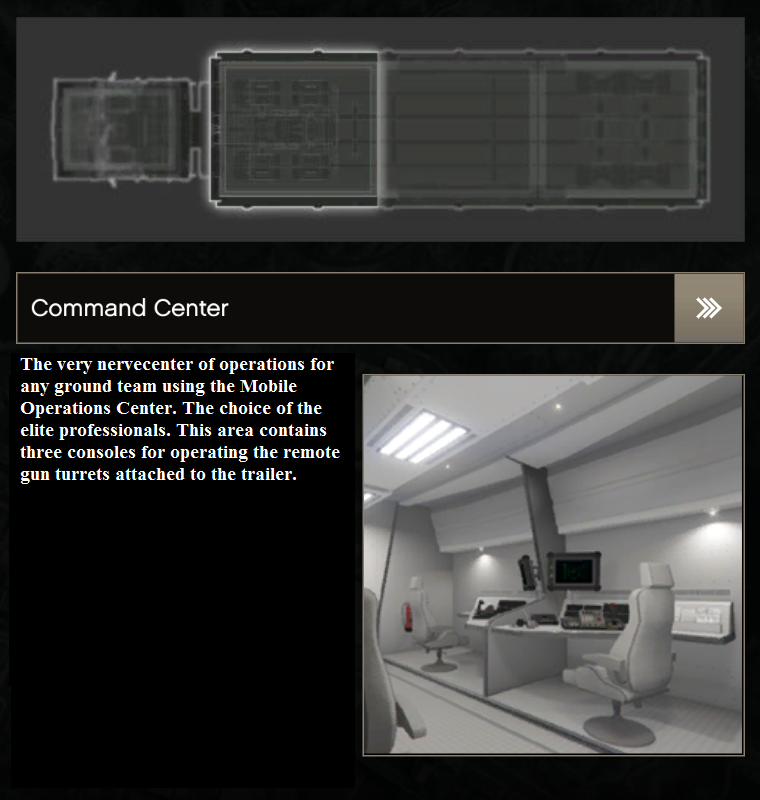 The front most section of the trailer contains the Command Center, which houses all the command control and communications equipment. From here, mission planning and briefings are conducted, as well as defense of the MOC should it come under direct attack. 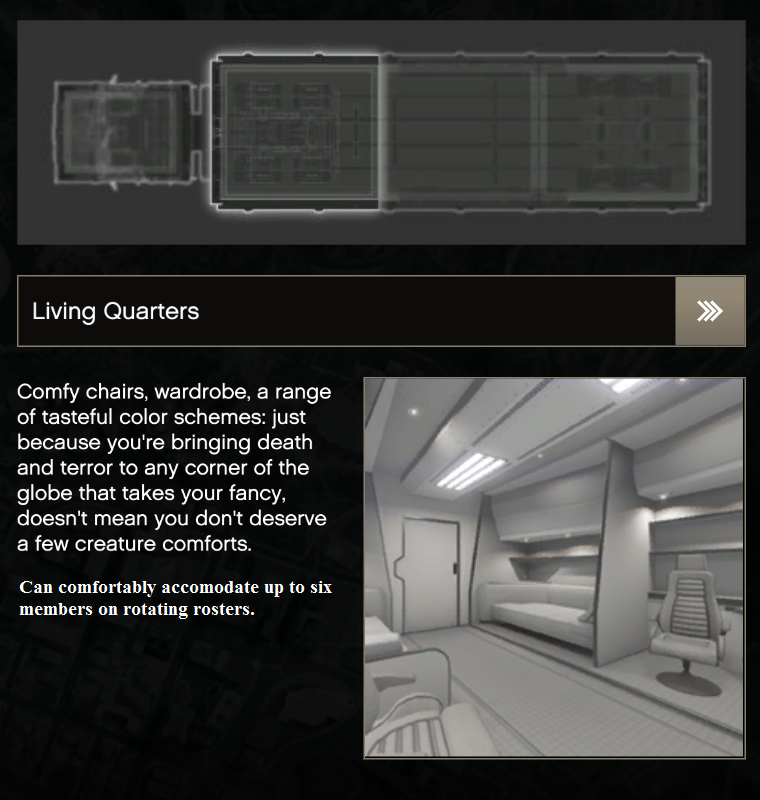 The Second section is the living quarters for the team. 3 beds and sets of chairs can be used by a 6 person team on rotating shift. 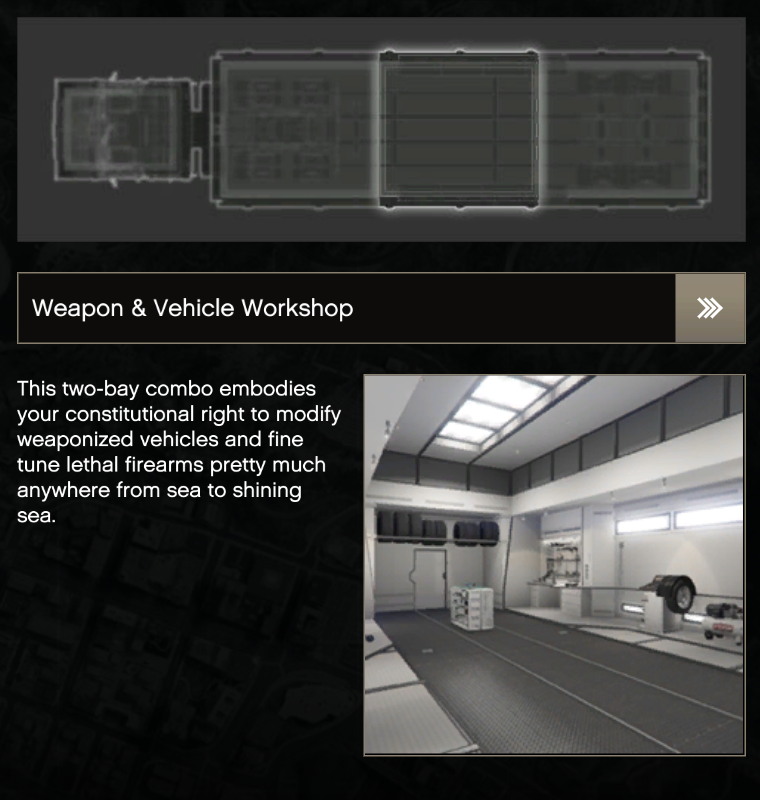 The 3rd and 4th section is taken by the combined weapon and vehicle workshops. 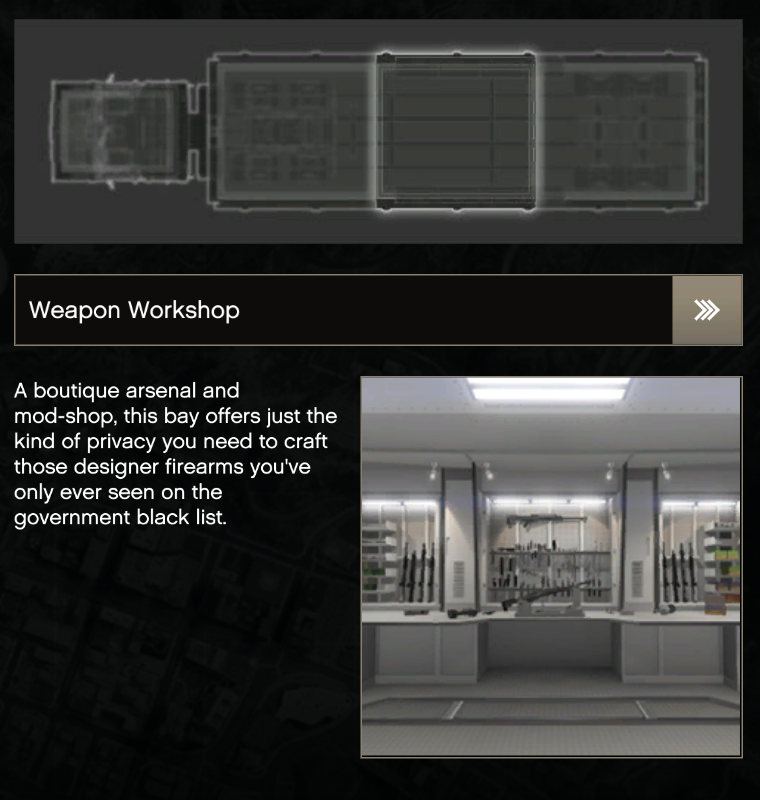 Specialized maintenance and modification tools are made available to teams within the trailer to outfit themselves with the best gear for the mission. And the final section is used to store a single vehicle within it's bay. Currently the vehicle in this particular MOC is a modified Terradyne Armored Vehicles Gurkha Ford F550 Custom. The platinum silver haired man in the sleek black combat armor looked at his wrist comp as the timer wound down to the final seconds. His black eyes hardened as the chronometer ticked over every second. Finally reaching zero, the man stood up. "Zero time has been reached. The first infected humans have started to turn. Mission commenced at 19:25 hours." The armored man slid his closed faced helmet over his head, and the HUD within lit up as it linked with the suit's internal power supply. "Position of objectives?" he asked, and the operator in the command module replied. "Police chief Irons remains in his office in the RPD building. Mayor Warren is still within city hall." "Understood." RAVEN replied as he took his equipment and armaments, before walking towards the rear deck as he holstered his weapons. The ramp opened and extended from the trailer, allowing RAVEN to exit the MOC. He stood at the foot of the ramp, and the visored helmet turned to look back at one of his subordinate agents. "SHADOWFOX, you are on objective two, recovering Mayor Warren. Once completed, and the objectives have been exfiltrated, we will begin phase two." stated the veteran Umbrella Monitor. The RAVEN wrote: The platinum silver haired man in the sleek black combat armor looked at his wrist comp as the timer wound down to the final seconds. His black eyes hardened as the chronometer ticked over every second. The young Asian woman was crafting some 9x19mm darts for her Hush Puppy, being careful not to get pricked by the hypodermic needles, no bigger than a medical butterfly needle. She loaded 8 of these rounds into the magazine, before slipping the mag into one of her various side pack pouches. She loaded the MK 22 with standard nine millimeter parabellum rounds, cocking back the slide, and activated the slide lock of the silenced pistol. She turned to face RAVEN, her cold black eyes reflecting the armored elderly man's vision as she blinked her long dark lashes. "Will be hard to get past those policemen. The city hasn't gone to hell yet, RAVEN." She replied, slipping the handgun into her holster, now picking up the M16A2 Rifle, checking its action, and the marksman scope attached. "May spook the locals if you barge in like that." She says in a bored, matter of fact tone. Despite being his subordinate, she was above kiss-assing. It didn't matter he was her mentor's best friend. "Hmm, is it true you used to run with MSF back in the day? From the equipment you've got here, I suppose I shouldn't doubt it." She smirked, satisfied with the M16, and decided to stuff a pair of magazines into her fanny pack. Unsure what else to do, she playfully, did her makeup in the nearby mirror's reflection applying glossy pink lip gloss to her plush, puckered lips. Jade Ling wrote: The young Asian woman was crafting some 9x19mm darts for her Hush Puppy, being careful not to get pricked by the hypodermic needles, no bigger than a medical butterfly needle. She loaded 8 of these rounds into the magazine, before slipping the mag into one of her various side pack pouches. She loaded the MK 22 with standard nine millimeter parabellum rounds, cocking back the slide, and activated the slide lock of the silenced pistol. She turned to face RAVEN, her cold black eyes reflecting the armored elderly man's vision as she blinked her long dark lashes. "Will be hard to get past those policemen. The city hasn't gone to hell yet, RAVEN." She replied, slipping the handgun into her holster, now picking up the M16A2 Rifle, checking its action, and the marksman scope attached. "May spook the locals if you barge in like that." She says in a bored, matter of fact tone. Despite being his subordinate, she was above kiss-assing. It didn't matter he was her mentor's best friend. "Hmm, is it true you used to run with MSF back in the day? From the equipment you've got here, I suppose I shouldn't doubt it." She smirked, satisfied with the M16, and decided to stuff a pair of magazines into her fanny pack. Unsure what else to do, she playfully, did her makeup in the nearby mirror's reflection applying glossy pink lip gloss to her plush, puckered lips. "The infected have turned, so the panic in the streets will soon correct that overture" Raven replied. "As for me, you know me better than that. And don't get overconfident in there SHADOWFOX. Dai would never forgive either of us if that were to happen." With those words, Raven's form shimmered as he vanished from visible light thanks to his thermotpic stealth device. The rear deck ramp retracted and closed as the trailer resealed after Jade's departure. Once closed, the trio of turrets reactivated, and began their usual scanning patterns.